Recently we sat down with one of our physiotherapists Lynda Stainton to get to know her better. Thanks for chatting with us today Lynda. How long have you been a physiotherapist for? 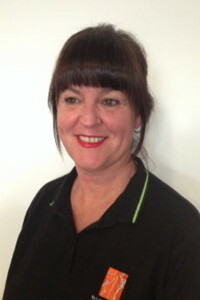 I have been a physiotherapist since 1985 having lived and studied physiotherapy in New Zealand. I have worked pretty much most of the time since then, except when I’ve taken some time off to travel. Where did travelling take you to? I brought me here to Australia in the late 80’s which is when I first fell in love with the Gold coast lifestyle and its people . What was it about being a physio that attracted you to taking up this profession? I was pretty sporty when I was younger and played tennis, netball, and hockey and represented the school in cross country running. I also completed my bronze cross in lifesaving. Being so active I wanted a job that would keep me active and also allow me to travel so physiotherapy was a good option and continues to be so. How would you describe your approach to what you do as a therapist? My approach is to try and deal with “the whole picture”; I will always treat the injury or condition that’s present but I’ll also look for the cause of an injury. For example, why are their symptoms not settling? Is it due to overtraining, poor biomechanics or something they are doing that is aggravating their pain without them realising that what they are doing is creating their problem and symptoms. The highlight of my career was doing two locums for the English national ballet while in London and treating the Chippendales (yes the mens dance group) when they came to town in the UK. All whilst working behind the iconic Carnaby Street in a sports injury clinic. Another highlight was spending a day with Pete Sampras but my employer at the time did the hand-on for that one – funny that! And other highlights are always just seeing a patient’s happy face when they are free of pain and I always enjoy a good laugh to brighten up the day. I came to work at Ridiculously well as fate would have it due to a locum pulling out at the last minute who was supposed to cover Nicole’s maternity leave here with her first child James. It was a long way from Victoria but I couldn’t wait to return to the sunny shores of the Gold Coast. Colin made it an easy decision too with a friendly skype interview. Having worked in a lot of private practices I can say that Ridiculously Well is ‘well’ up there as being the best clinic to work in. Not only because it has highly skilled therapists but also highly skilled receptionists and practice managers who are great multi-taskers and all of them are great fun to work with. There is respect for each other and although we are all very different we blend in to form a great team. I like the fact you can be autonomous and that there is a relaxed atmosphere without peer pressure and that the principal and co-workers all have faith in each-others skills. I plan to do some online courses through the APA for my continuing professional development which we all do each year to remain up to date on professional and clinical developments. Finally please tell us something about yourself…like what do you enjoy doing when you aren’t working here at Ridiculously Well? I love the arts, film and travelling. I cycle and walk regularly around the many coastal walkways and recently started swimming again. And I enjoy quiet time with a good magazine or book.